Available 16/01/17. Arranged over the generous ground floor of one of these beautiful, quietly positioned Boscombe Road semi detached houses. The flat has a wonderful individual layout with great flow and sense of volume - and makes an inspiring and fun place to live. The flat has plenty of light and huge amounts of storage, as well as a secluded back garden that creates a real urban retreat.&nbsp;The property is part of a terrace of attractive, mainly family houses, in the section of Boscombe Road just north of the junction with Findon Road. It is a prime and much favoured W12 street with Ravenscourt Park and Askew Road within a short walk. The shopping and transports hubs of Hammersmith and Westfield are within easy reach and Goldhawk Road or Shepherd's Bush Market tubes, along with Uxbridge Road's eclectic mix of shops, restaurants and theaters are also close at hand. 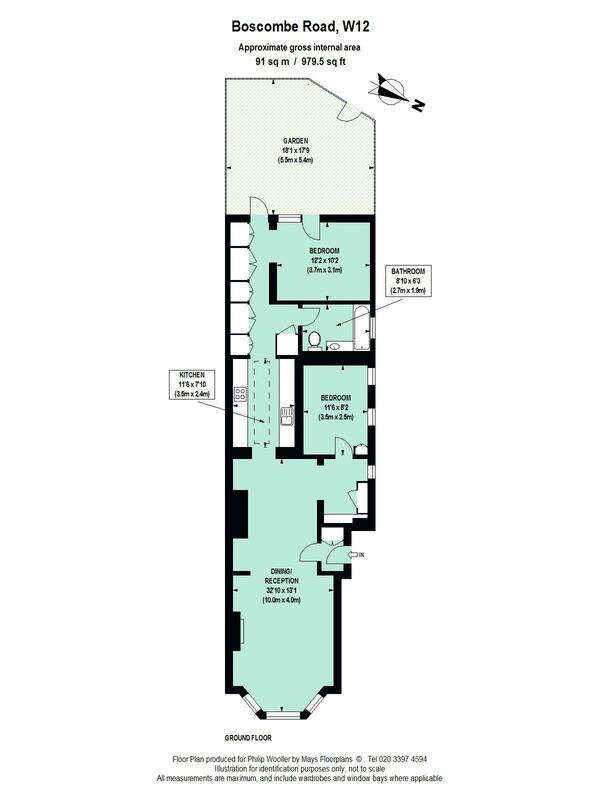 979 sq ft / 91 sq m approx.